Paso Robles wine country is home to more than 40,000 vineyard acres, more than 200 wineries, and over 40 winegrape varieties. There is much to taste and see during your Paso Robles getaway, and there are many ways to explore the area—embark on a shuttled wine tour, visit during Harvest Wine Weekend or Paso Robles Wine Festival, or have a private chauffer service act as your designated driver. With so many wineries surrounding Paso Robles in every direction, you could easily spend days sipping local wines on the gorgeous countryside. 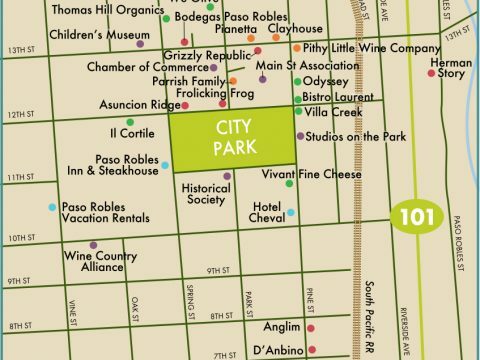 Or, you can get a convenient taste of Paso Robles by visiting the many tasting rooms located right Downtown, across the street from the Paso Robles Inn. You can explore the charm of historic Downtown Paso Robles at the Midsummer Wine Stroll this Saturday, July 8th as 20 boutique wineries offer a taste of special wines paired with gourmet bites at each tasting room. Prefer to taste at your own pace? Follow our own Downtown walking wine tour itinerary outlined below. 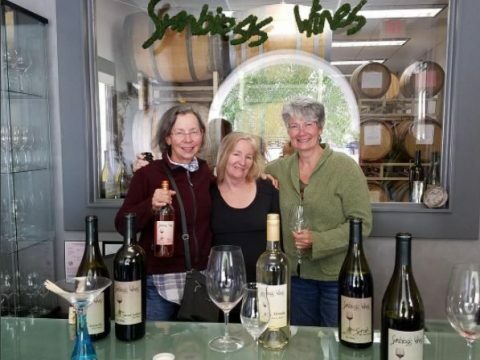 Located on the corner of 12th and Spring Street, Symbiosis Wines is the perfect place to start your walking wine tour if you’re coming from your hotel room at the Paso Robles Inn. A one-woman operation, Glenna Thompson of Symbiosis Wines utilizes the greenest possible production techniques like gravity racking, pallet jacking, using recycled paper labels, and locally sourced grapes. After running labs for various wineries for several years, Glenna realized that winemaking is a symbiotic mix of art and science—two dissimilar organisms living as one creating a whole that is greater than the sum of its parts. She created Symbiosis Wines in 2007, making all of her wines by hand, by herself for the last 10 years. Stop by and try the Torrontes, Tempranillo, Grenache, and some more familiar varietals during your tour. 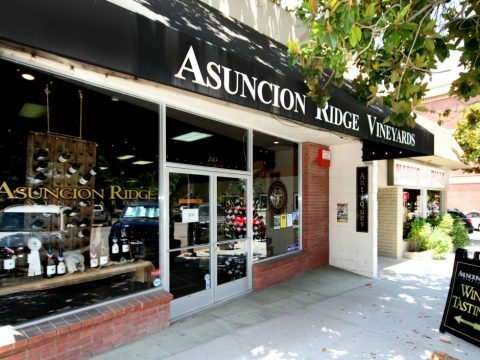 After Symbiosis, cross Spring Street and make your way to Asuncion Ridge Vineyards‘ tasting room located on 12th Street along the Downtown square. Fortunately, the tasting room is open 7 days a week, so you can try their ultra-premium Pinot Noir, Sauvignon Blanc, and eclectic Red Blends made with Bordeaux and Rhone varietals any day you want! But it gets even better—on Friday and Saturday nights the tasting room hosts live music and monthly art exhibits. So sit back, relax, and enjoy the ascent as Asuncion Ridge Vineyards’ wines take your taste buds to new heights. As you make your way down 12th Street, you’ll see Siegals Jewelry located across from the historic clock tower at the corner of 12th and Park Street. If you wander into the jewelry store, you’ll discover that the real treasure are the Frolicking Frog Cellars wines located at the tasting room within Siegals. 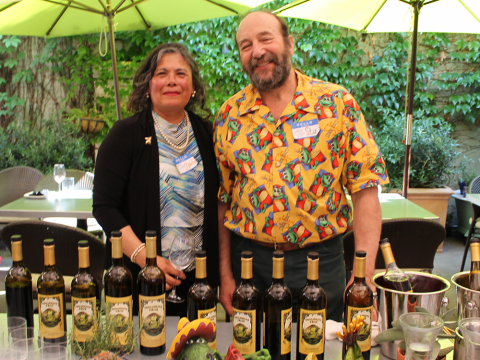 Frolicking Frog’s savory reds and crisp white wines have been produced, bottled, and cellared at their historic Frog Pond Mountain location on Highway 41 west since 2003. Winemaker Stu Goldman delicately produces 450 cases, ensuring that his quality wines give you a unique experience with each individual glass. Although Frolicking Frog’s footprint on the Paso Robles Wine Country is small, it is growing with each tasting of their fine handcrafted wines, so be sure to sample them during your visit. Next up on the itinerary is Tudor Wines, located on Park Street just across the street from Frolicking Frog Cellar’s tasting room. Dan Tudor of Tudor Wines focuses his attention on traditions of the Old World with his Monterey Pinot Noir, Chardonnay, Grappa, and Ice Wines, using grapes from the finest Santa Lucia Highlands and Monterey County sides. Dan’s goal is to find the perfect balance of tannins, flavor, alcohol, acid, and fruit by maximizing the quality potential of the fruit with the least intervention. Does he achieve this? Come taste the elegance of Tudor Wines for yourself to find out. 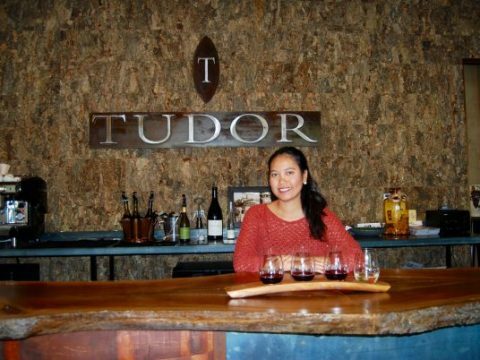 After finishing up at Tudor Wines, continue your stroll around Downtown exploring the many other tasting rooms that collectively represent over 200 different wines. These small production, boutique, and award winning wineries feature the talent of many of our area’s finest winemakers, so come swirl, sip, and experience the unique offerings of Paso Robles’ Downtown Wineries at the Midsummer Wine Stroll or on your own exploration.